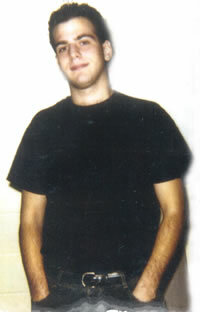 Ryan Holle’s case is the most extreme example of felony murder rule abuse I have come across to date. However, the rule is abused across the nation to various degrees. It has resulted in egregious sentences for both juveniles and adults. The rule has resulted in wrongful convictions of innocent men and women, and it has allowed prosecutors to act with blatant disregard for individual circumstances, degrees of guilt, and other factors that should be taken into account when charging and sentencing a person for a crime. When a person commits a crime they should receive an appropriate punishment. However, the felony murder rule is abusive because it provides prosecutors with a means of obtaining excessive punishments for people that do not fit their actual degree of guilt or culpability. This page will summarize other existing cases. I will add to this page over time, but keep in mind that the cases mentioned on this page are not reflective of the true number of felony murder convictions in this country. These are merely provided to demonstrate the abuse of the law and the reasons why it is both unethical and unconstitutional. Cristian was 12 years old when originally charged with felony murder for the death of his two year old brother. Cristian allegedly pushed his brother into a bookshelf rendering him unconscious. His mother waited approximately eight hours to seek treatment for her son. He died two days later in the care of the hospital. Cristian was originally charged with aggravated battery. Upon his younger brother’s death he was charged with murder. 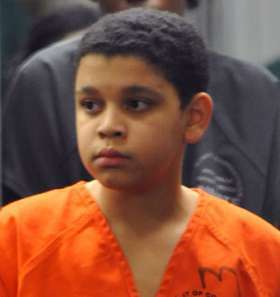 The murder charge, combined with the felony aggravated battery charge, allowed Florida State Attorney Angela Corey to expose Cristian to a life without parole sentence. Cristian is still awaiting trial. A more detailed description of his case is here. My website for Cristian is here. My petition asking Angela Corey to reverse the decision to try Cristian as an adult is here. Curtis Shuler was tried in connection with the murder of a man named Steven Tyler in Florida. The murder took place during a carjacking. Two of the individuals involved in the carjacking and murder pinpointed Curtis as the shooter. However, by the time of the trial both had recanted their claims, stating that Curtis was not present at all when the murder took place. Despite having many alibi witnesses stating Curtis was at home working on car when the murder happened, the jury found him guilty of the burglary aspect of the crime. The jury indicated they did not believe he brandished a weapon or was involved in the murder, but because of their finding with regard to burglary Curtis received a life without parole sentence. 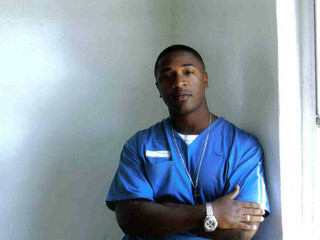 Curtis was 16 years old when he was originally charged. Click here to read more about his case. His wife, Melissa Shuler, has a petition asking for his release here. In 1995 a group of teenagers went to the home of 17 year old Michael McLoren who was known to sell marijuana locally. The prosecution later contended that the teenagers went to the home to steal marijuana (a factor that became important since the act of robbery is a felony offense). 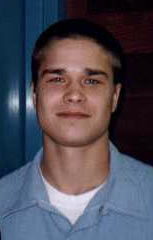 Brandon Hein was 18 at the time. He was accompanied by Jason Holland (18), Micah Holland (15), Anthony Miliotti (17), and Christopher Velardo (17). Velardo was the owner of the vehicle driven to the scene and remained in the truck while the other teens went to either buy or steal marijuana from a fort located on the property. A fight occurred once the teenagers entered the fort. Jason Holland was carrying a folding knife that he used to stab McLoren with multiple times. A friend of McLoren’s – Jimmy Farris (who was 16 at the time) – entered the fort to assist his friend. Jason Holland subsequently stabbed him and Brandon Hein reportedly punched him. McLoren survived his injuries but Farris did not. Brandon Hein, Tony Miliotti, and Jason Holland received life without parole sentences. A site for Brandon is here. This site contains a more detailed case summary and other information. The case is also featured in a documentary Reckless Indifference directed by William Gazecki. A description of the case and discussion of the felony murder rule is here. When Joseph Donovan was 17 years old he was arrested and charged with felony murder because his 15 year old friend, Shon McHugh, stabbed 18 year old Yngve Raustein. Though McHugh was the one who brought the knife (unbeknownst to Donovan) and stabbed Raustein during an altercation, he was released after being incarcerated for 11 years because he was tried as a juvenile. By contrast, Donovan remains in prison and was sentenced to life without parole per the felony murder rule. Joe Donovan’s support page is here. It provides extensive information about his case as well as a petition. Joseph Donovan’s story is relayed in detail in a documentary that is available online here. The documentary is titled Unequal Justice and it is well worth watching because it demonstrates precisely how the felony murder rule results in unfair and excessive punishments. It is also worth noting that jurors are rarely, if ever, made aware of the consequences of finding someone guilty of felony murder. One juror, Carolyn Butterworth, who found Joseph Donovan guilty of felony murder stated, “People in our juror pool said, ‘he’ll get out in a few years. '” Unfortunately, she now realizes that she and the other jurors were wrong; however, this is common thinking among juries who are faced with decisions regarding felony murder because the courts and prosecutors have no legal obligation to inform the jury of sentencing. Sentencing is not supposed to be a factor in a jury’s decision-making process.